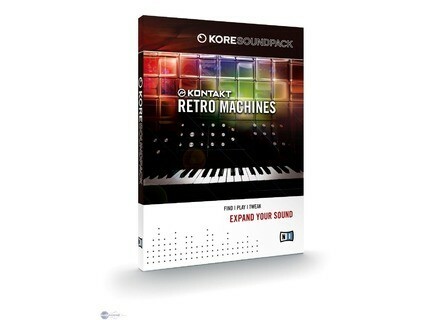 Kontakt Retro Machines, Other CD & Sound Bank from Native Instruments. 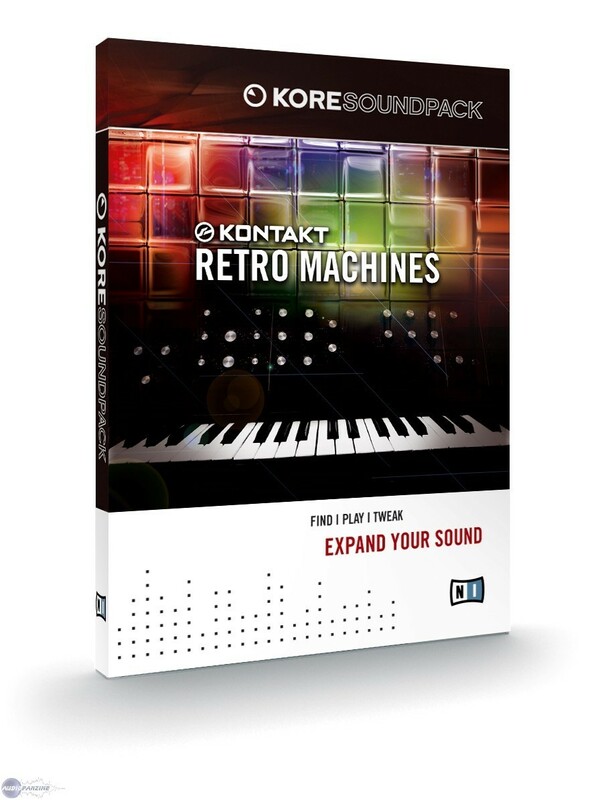 Native Instruments today released Kontakt Retro Machines, the latest addition to its KORE SOUNDPACK range of sound libraries for KORE 2 and the free KORE PLAYER. Based on material from the KONTAKT 3 factory library, KONTAKT RETRO MACHINES offers a collection of charismatic vintage instruments. This includes various classic synthesizers as well as several drum machines. according to NI, the sounds in KONTAKT RETRO MACHINES originate from eleven analog synths, five vintage digital synthesizers and six classic drum machines, all captured in studio-quality and with a dedicated sample set for each of the over 130 included KoreSounds. We're told that like all KORE SOUNDPACKS, KONTAKT RETRO MACHINES makes use of the capabilities of KORE 2 / KORE PLAYER and of its integrated instrument and effect engines. Every instrument sound offers eight distinct variations, organized in a concise scheme that includes optional percussive, pad, solo/lead and arpeggiated flavors of every preset. Authentic "vintage synth" operation is achieved through special performance features like adjustable glide, unison, polyphonic portamento, optional pure tuning mode and much more. All options are provided in an intuitive and immediately accessible way through the unique sound shaping and control features of the KORE platform and the integrated KONTAKT engine. Native Instruments says they will release a substantial number of additional libraries over the course of 2008. KONTAKT RETRO MACHINES is now available for download purchase in the NI Online Shop for USD 59 / EUR 49. Sonart Electro Sonart Audio Presents "ELECTRO" Electro Loops, Samples & Instruments Collection. Sonic Studio PreMaster CD 3.0 Sonic Studio, LLC announced the release of a completely new version of their premastering application, PreMaster CD™. Voxengo Crunchessor 2.0 Released Voxengo has released Crunchessor 2.0 — a general-purpose track compressor for professional audio production applications.